The four-day festival kicked off last night with Balkan outfit Shantel & Bucovina Club Orkestar on Kerampuilh Plain, where four stages will see over 40 shows in four days. The main stage’s entertainment, meanwhile, began with Vanessa Paradis. Readers of a certain age will remember her turn as a young teenager singing “Joe le Taxi” in 1984. After years of living with Johnny Depp and producing some excellent acting roles, she’s back on the road again, pulling in the crowds. One of the biggest draws to a festival that brings together the likes of Elton John, Franz Ferdinand and The Arctic Monkeys is 1980s group Indochine. Their brand of catchy electro-punk has recently made a big return complete with nostalgia value in tow and their current tour is reported to be drawing ever-increasing crowds – testimony perhaps to the hunger out there for good French bands to show their heads. 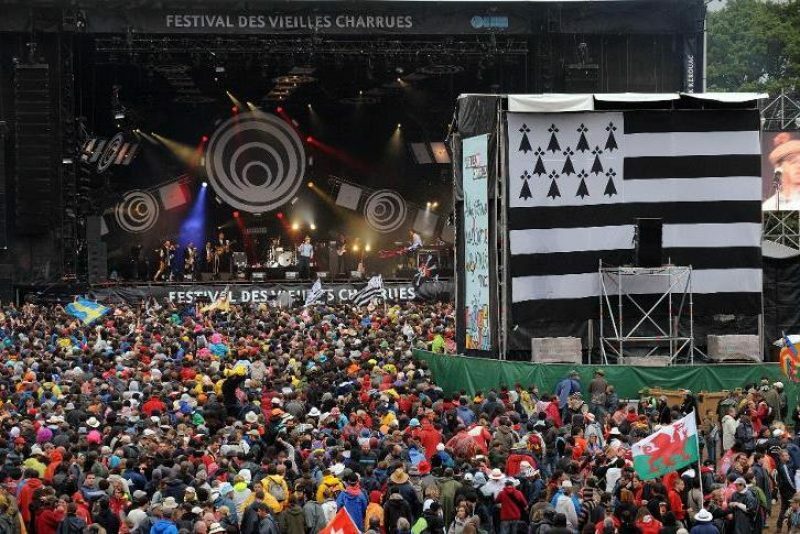 The Festival des Vieilles Charrues was started back in 1992 by a group of Brest students, who wanted to “have a bash and a few beers” and has now grown to become one of the biggest music festivals in Europe, with much of the profits going back into local schools and Breton cultural institutions. Over 200,000 people are expected to attend Les Vieilles Charrues between here and the closing on Sunday night.